I never vanished. I was right here all the time playing.” Charles Tolliver, 64, was in Brooklyn, sitting in a tall-backed rocking chair with a pouch of Gauloises tobacco and a vintage brass Besson trumpet within reach. He was reflecting on some of the recent stories published about him that, while laudatory, suggest he is a kind of hard-bop Rip Van Winkle, suddenly returned to the jazz capital after decades in the wilderness. His own thing included writing and performing commissions with European orchestras, teaching at the New School, playing quartet dates and administering the catalog of Strata-East, the record label he founded with pianist Stanley Cowell in 1971. In January, Tolliver released With Love, a double-barreled big-band outing on Blue Note that was perhaps the most anticipated record of the past year. 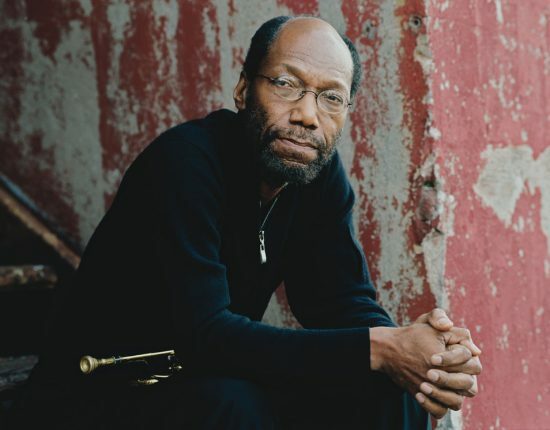 The album showcases Tolliver’s dynamic writing and reveals he is one of the last significant trumpet players from the 1960s still unleashing the kind of improvisational fury associated with those hard-blowing years. “David Weiss is the guy who got me going with the big band. He called me back in 2002 and said I could maybe get a night or two at the Jazz Standard,” says Tolliver. Weiss, the trumpeter-leader of Point of Departure, was a fan of Tolliver’s 1970s big-band albums and recognized the potential interest in a return of that group. Glowing reviews in the Village Voice and the New York Times and word-of-mouth buzz have kept the band in demand ever since. The new availability of some of Tolliver’s recordings has also burnished his reputation. The last published edition of the All Music Guide to Jazz lists eight Tolliver titles-six of them given five-star ratings. And yet CDs of Tolliver’s work-which he only reissues every few years on Strata-East-have been devilishly hard to come by, often selling online for many times their original cost. In 2005, Mosaic Records released a box set of three of his classic Coltrane-influenced quartet records, introducing him to a new generation of listeners at a time when there is a wave of interest in jazz from the 1970s. Recent unearthing of unreleased Andrew Hill and Jackie McLean dates from the 1960s and ’70s, as well as Tolliver’s appearance on Hill’s 2006 Blue Note release Time Lines, further raised the trumpeter’s profile. Suddenly there is much interest in Charles Tolliver. Tolliver was born in Jacksonville, Fla. in 1942 and began playing cornet when he was 6 or 7. The family moved to New York when he was 10 and by 17 he was attending jam sessions at Branker’s and Count Basie’s in Harlem and hanging out with Freddie Hubbard-though he wasn’t yet playing out. “One thing that impressed me was that there were some guys that didn’t do their homework, they just wanted to play, and they got beat up on the bandstands,” says Tolliver. Tolliver felt ready a year or two later while attending Howard University. “There was a young genius who started the same year as me named Andrew White, alto player, who is well known for transcribing all of John Coltrane’s solos. He started a group called the JFK Quintet. Walter Booker was in that band and Joe Chambers.” Tolliver began playing around Washington, D.C. with them. After his second year of college he decided to make music his life and came home to New York. Sitting in at jam sessions at the Blue Coronet in Brooklyn, Tolliver attracted the notice of Jim Harrison, a friend of McLean’s. The saxophonist was about to put together a new band and Harrison’s recommendation and a few quick meetings with Tolliver were all he needed. Tolliver made his recording debut on McLean’s It’s Time in 1964. That Blue Note record also featured heavy-hitters Herbie Hancock, Cecil McBee and Roy Haynes. Listening to it now, it’s clear that Tolliver had already developed his powerful, lyrical style and was able to push the boundaries McLean was then exploring. Tolliver continued to work with McLean, recording twice more with him, then replaced Lee Morgan in Art Blakey’s Jazz Messengers. Starting in 1966, a one-year stint on the West Coast working in the big bands of Gerald Wilson and Oliver Nelson had a profound impact. “That’s when I started in earnest to mess around with writing. Sitting in those two bands really put big-band music in my ear in a big way,” says Tolliver. He came back east for his dream job-taking over the trumpet chair from Freddie Hubbard in Max Roach’s band. It was there that he met Stanley Cowell, who became his lifelong musical alter ego. In 1968 Tolliver won Down Beat’s trumpet poll, and in 1969 he formed his explosive quartet Music Inc. with Cowell, McBee and drummer Jimmy Hopps. Very few trumpeters have shouldered the burden of leading a quartet for long-it’s simply too challenging physically-but Tolliver credits Booker Little as his inspiration. Tolliver was a teenager when he saw Little leading a quartet at Small’s Paradise. “It changed me. It changed my life. I was listening going, ‘Wow-this guy’s playing all this on the trumpet! I’ve got to build up to that,'” he says. By 1970, Tolliver’s ambitions as a writer pushed Music Inc. to record with a full big band-the band-within-a-band concept that remains at the heart of Tolliver’s arrangements. But those were tough times for jazz labels. “We knew we had something with that first record and we shopped it. Big band-no one would take a chance on it,” says Tolliver. Instead, Tolliver and Cowell decided to release the record themselves. “I made sure reviewers got it,” says the trumpeter. Among the writers Tolliver hand-delivered Strata-East’s first title to was Michael Cuscuna. “To this day he kids me that this was the first time ever that a record executive brought him records to review,” says Tolliver. The band, and the label, began attracting attention and over the next five years Tolliver and Music Inc. cemented their reputation by releasing a series of dazzling records. But by the late ’70s, with the jazz world in transition, Tolliver’s career quieted down. It was Michael Cuscuna, now a producer for Blue Note, who brought the trumpeter back to the label to do With Love. “It’s right for me because I started there. If I’m going to do something outside of Strata-East it makes sense to go where I started,” says Tolliver. With Love is, in part, a reunion of Music Inc. Cowell and McBee are both on it, as is baritone saxophonist Howard Johnson who played on the original Music Inc. big-band record. “The only guy missing is Jimmy Hopps. We don’t know where he is,” says Tolliver. The band is filled with top talent like tenor saxophonist Billy Harper, who also recorded for Strata-East, saxophonist Craig Handy and drummer Victor Lewis. David Weiss-who inspired the band’s comeback-is onboard as well. “I don’t want to field a big band unless I have the biggest guns I can have. Because they’re the only guys that can bring off that thing that I want,” says the trumpeter. Charles Tolliver never really vanished. But he is on the scene now in a way that he hasn’t been in decades, clearly enjoying the attention but primarily relishing the challenge of leading a big band. “It means a lot. I wasn’t unhappy and I made sure I didn’t have any of this bitterness about whether I should be doing more than I am. I kept myself busy but it’s good that I’ve been afforded this opportunity,” he says. Though he admits with a smile that he is looking forward to beginning to collect social security this year, he’s not slowing down now. His plans for the future are simple.